Imagine having a home office that is designed for you - your desk at the most comfortable height and your drawers and storage cupboards situated to suit you, and everything positioned to make the most of the available space. A bespoke home office offers you a truly personalised working environment so you can operate at your best. Our portfolio pictures at the left display a collection of recent Solid Carpentry home office projects. Each home office was designed to the individual’s exact requirements. 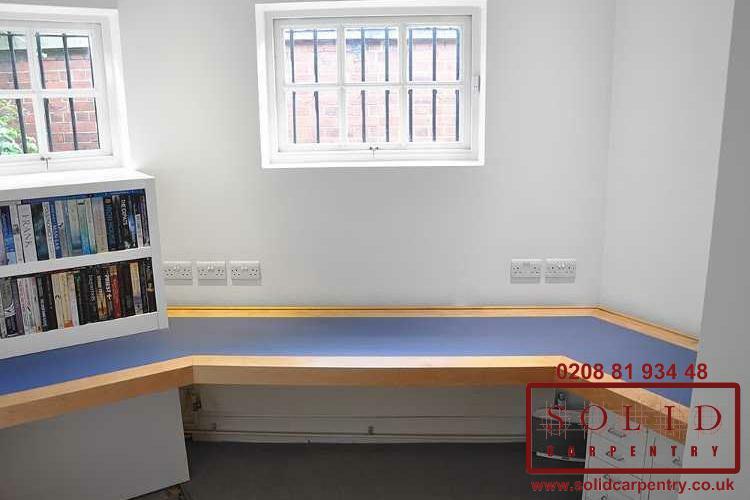 Working directly with our team of highly skilled carpenters, our customers were able to create a home office that complemented their individual working styles and preferences and maximised on the layout of the room. After all, choosing a bespoke service means you get to enjoy a home office that has the ultimate functionality and style you seek, without you having to compromise on space or design. 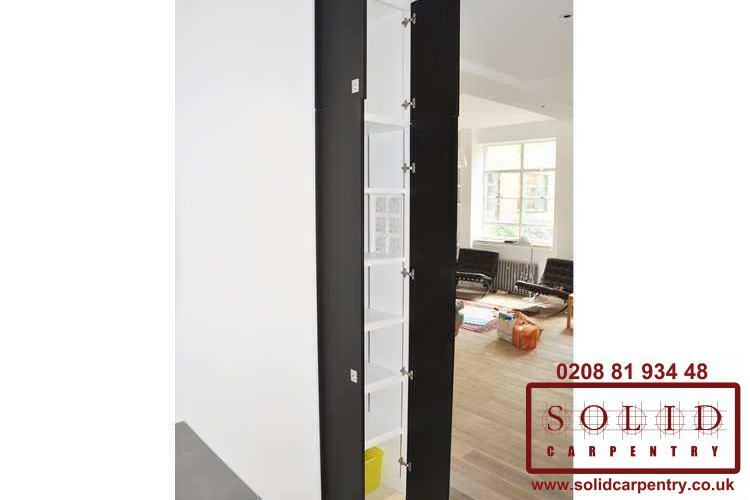 As you can see from the gallery of pictures, our highly qualified craftsmen can accommodate any size project. Whether you require a simple desk unit or a full-scale, integrated custom working space with concealed compartments and a hidden safe, we can design and install a bespoke home office that will offer maximal functionality and durability for many years to come. Furthermore, we can help you choose the best materials and finest veneers to ensure you have a hard-wearing office in a finish that suits your taste and complements your home décor. Once the Solid Carpentry team have created your dream home office furniture, working from home will never be the same. 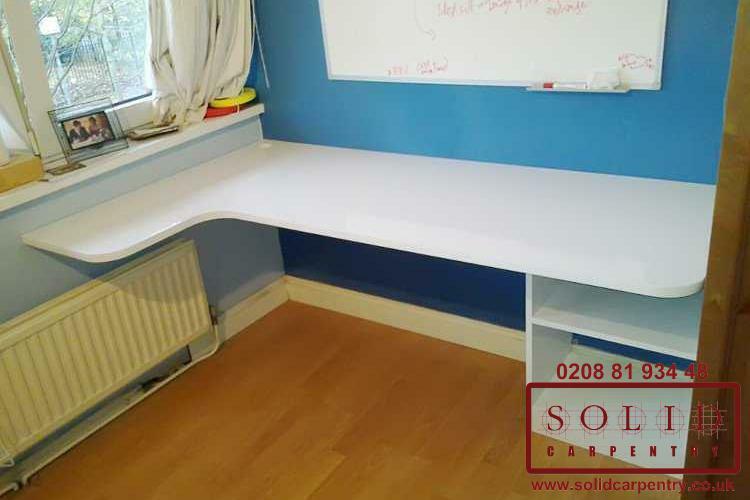 At Solid Carpentry, we have been designing and installing home offices across London, UK and the surrounding areas for more than 15 years. Our reputation for superior results and outstanding customer service is thanks to our high level of craftsmanship and tailored, individual approach – for each and every customer. Is it time to build your custom made home office, or transform an existing one? 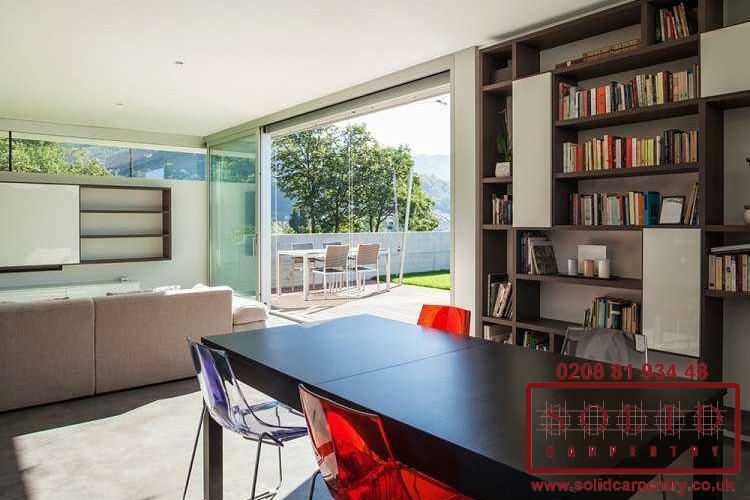 Contact us today or call 020 8819 3448 for your free, no-obligation quote.